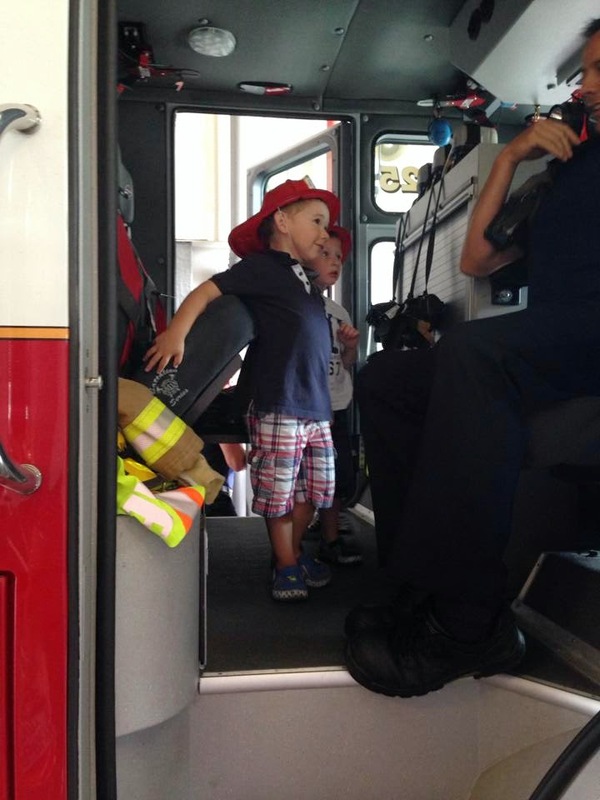 Any of your kids obsessed with fire trucks? My son is. Every time we pass a fire hall he wants me to stop so he can see the fireman and the fire tucks. I never wanted to just randomly stop at one just in case they were busy so, I decided to contact the city to see if they offer any fire hall tours. To my surprise they do, and they are very popular! I had to book 2 weeks in advance and they only have certain days and times available so, I called a bunch of my friends to see if they were interested in doing a group visit. Yesterday was our tour. The kids had a blast. They were so excited. As soon as we got there all the kids were greeted by all the firemen in the hall. Then they took them over to the fire truck and showed them all the tools they use in a fire or car accident such as an axe, hammer, jaws of life etc. 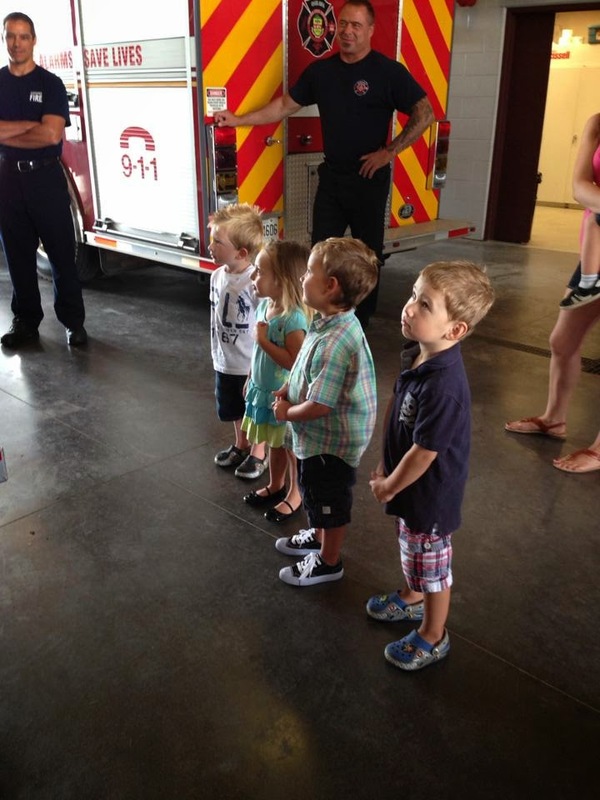 They also showed them the fire hose and let each child hold it so we could get a picture. After that they let them all go inside the fire truck to look around. Next they showed them they their uniforms. They explained all the items they have to wear when attending a call. I learned a few things myself. I didn't know they all have special alarms on them to press when they are in trouble. Did you? They also were telling the kids in case of a fire to never be afraid of them because they are there to help them. Once the tour was over all the kids got a plastic fireman hat and colouring book to take home as a "Thank You" for coming. They also got group pictures with the firemen and on their fire truck. 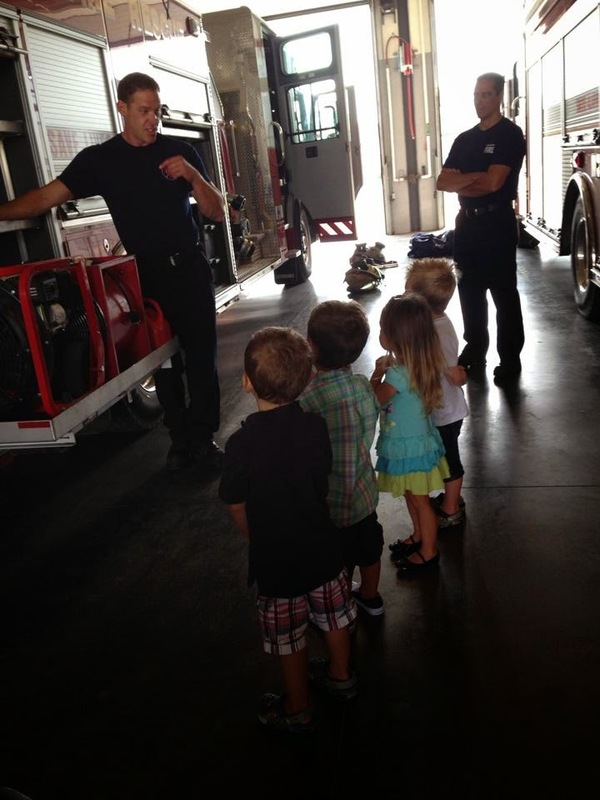 If you are interested in booking a fire hall tour as well, contact your city or town to book a day and time. It's a lot of fun! !